With built-in 5200mAh rechargeable battery the portable USB clip fan fits for various outdoor activities. Like the idea? Let’s keep checking. 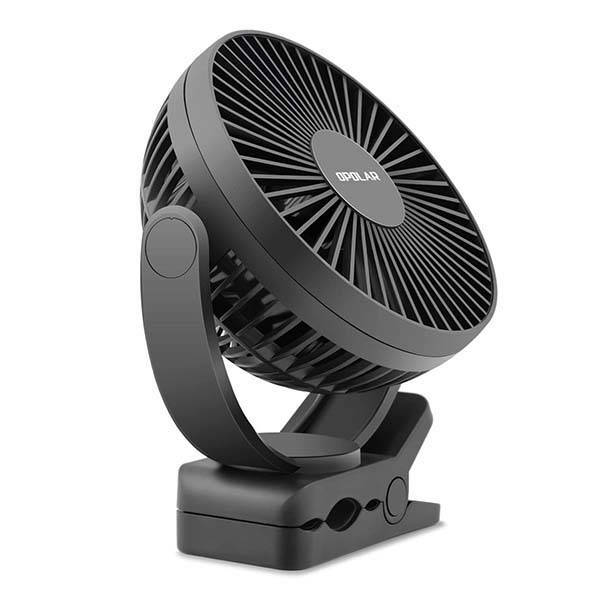 This is a flexible and practical USB clip fan that measures 5.5 x 3 x 7 inches and weighs 1.06 pounds. As we can see from the images, the USB fan shows off a low-profile and compact form factor so that you can easily place anywhere in your room or take it for a camping trip, and the integrated clamp not only serves as a base, but also allows you to attach it on any surface. The non-slip mat keeps it firmly in place. The portable USB clip fan delivers 3 speed settings and up to 2600RPM rotating speed in order to produce comfortable airflow. More importantly, the USB fan comes equipped with 5200mAh rechargeable battery that offers 5.5-48 hour battery life without needing any power source, and it can also be powered by a USB port using an included adapter. Moreover, an integrated timer allows you to control the operational hours of the fan. The detachable front panel is designed for easy to clean. 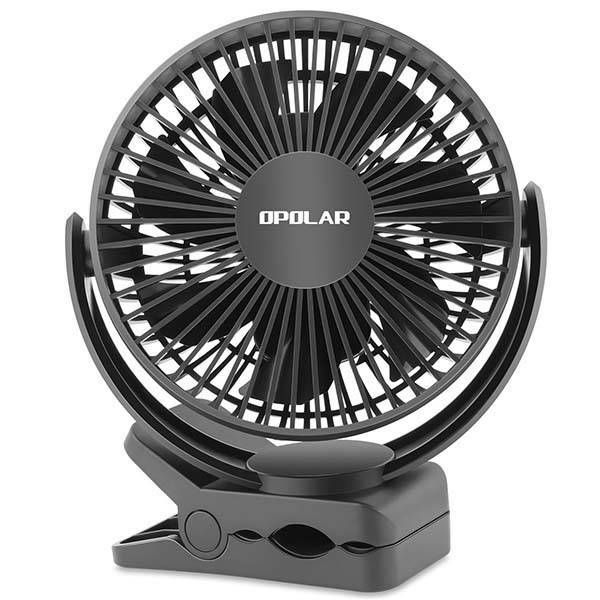 The portable USB clip fan is priced at $29.99 USD. If you’re interested, jump to the product page for its more details.